Make a difference in young students' lives and our local community! Partner with local nonprofits as a student mentor, or volunteer in other ways! Help teach the value of education! Share your expertise! Build relationships that last a lifetime! The mission of Children First is to strengthen children and families by improving the quality of their lives through a comprehensive approach to development, education, health and well-being. 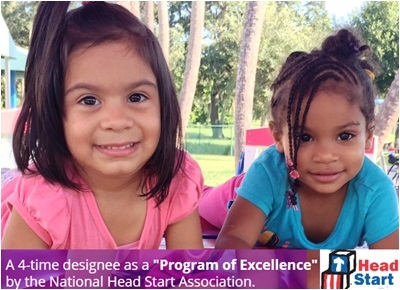 This statement reflects the organization’s underlying aspiration for the successful achievement of Head Start and Early Head Start goals and objectives, and the main priority of kindergarten readiness for all the children served. Please go to http://www.childrenfirst.net​ to learn more about Children Firsts' valuable programs. Three Building Blocks, One Mission: Just for Girls makes a positive impact on young women every single day with a dedicated team that works to make girls' lives better through academic, developmental, and prevention programs. Alternative Education: The alternative middle school is a haven for girls who have committed to turning their lives around after having had trouble succeeding in a traditional school; each year this program helps these girls map a new path to success, find their personal inspiration, and turn F's into A's. Before and After School Programs: Three centers keep girls safe during non-school hours, and caring staff help girls build internal strengths such as confidence, resiliency, empathy, and trust. Charter School: Just for Girls Academy for Kindergarten through 5th grades, opened in August of 2012 and is already making a measurable difference increasing the academic success of young students. The Academy's innovative programming includes character development, leadership training, and service learning, all of which boost academics as they work to strengthen girls' relationships with their peers, families, and community. 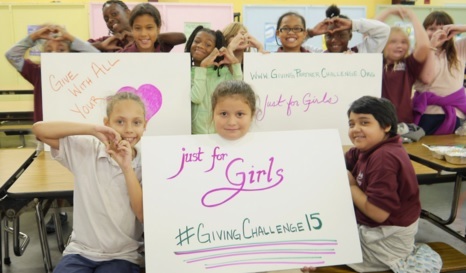 Please go to www.JustForGirls.org to learn more about Just for Girls' valuable programs. Note: Volunteers in direct contact with students will be required to submit to fingerprinting and background security clearance. Administrative volunteer opportunities for events and awareness initiatives are also available throughout the year. Volunteers interested in working with the Leadership Team to plan and execute fundraising events may contact Andi Watson directly at Andi@myjfg.org or (941)202-2287. Take Stock in Children pairs students who have the odds stacked against them with mentors who provide the support, encouragement, and guidance they need to succeed in school. As a mentor, you’ll spend just one hour a week with your student – and the difference that you will make will last a lifetime. Students commit to keeping their grades up, staying away from drugs and crime, meeting with their mentor, attending school regularly, and focusing on high school graduation and college readiness. When students meet these requirements, they earn a college scholarship, which is what makes Take Stock in Children the only school-based, college attainment focused mentoring program of its kind. 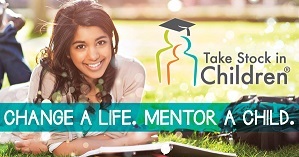 Learn more about how you can become a mentor and change the future for a local student at www.TakeStockSarasota.org. UnidosNow’s College Prep Series empowers our leaders of tomorrow to be agents of social change through college preparation, leadership training, and community service. Special programs exist for local middle school and high school youth, including the Future Leaders Academy, which guides both students and parents in the process of applying to post-secondary education in the United States. 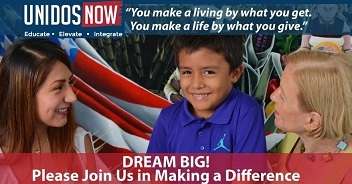 Please go to www.UnidosNow.org/ to help make a difference in a young person's life. Visible Men Academy is a tuition free public charter school located in Bradenton, FL, educating students in Sarasota and Manatee counties in grades K-5. VMA's MISSION is to provide boys with outstanding academic, character, and social education in a nurturing school environment. VMA's PURPOSE and COMMITMENT are to deliver a high-quality educational experience that meets the specific needs of at-risk elementary and middle school aged boys through the collaborative efforts of administrators, teachers, parents, the broader community and the students themselves. VMA's VISION is to lead boys toward a realization of their innate strong character – boys who are family orientated, community conscious, and globally aware. Through a firm foundation of intellectual and academic diligence, VMA students are equipped to meet and exceed the expectations of challenging high school environments and are eager and determined to pursue college education. 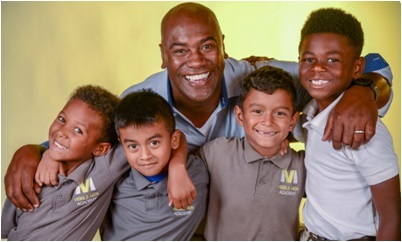 Through the rigorous modeling experience of the Visible Men Success Curriculum, VMA students gain vast exposure to future personal and career possibilities. These combine to cultivate within VMA students an unyielding sense of control over their futures – a critical orientation for lifelong success, personal fulfillment, and societal contribution. Please go to VMAcademy.org to learn more about Visible Men Academy's valuable programs. Check Back Often for New Community Outreach and Volunteer Opportunities!